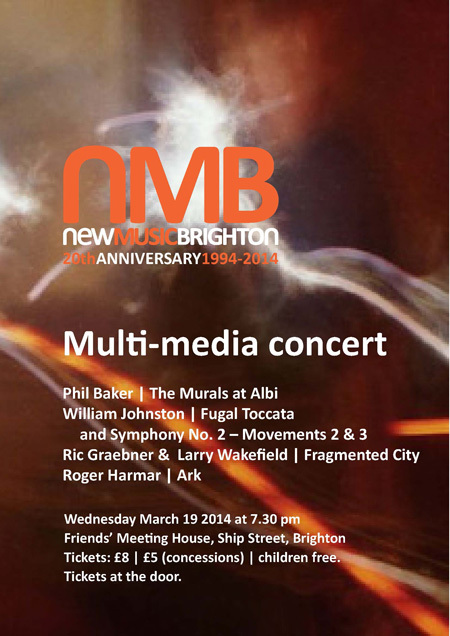 It’s hard to overestimate this composers’ collective, the UK’s biggest, even harder to compress justice to five premieres. 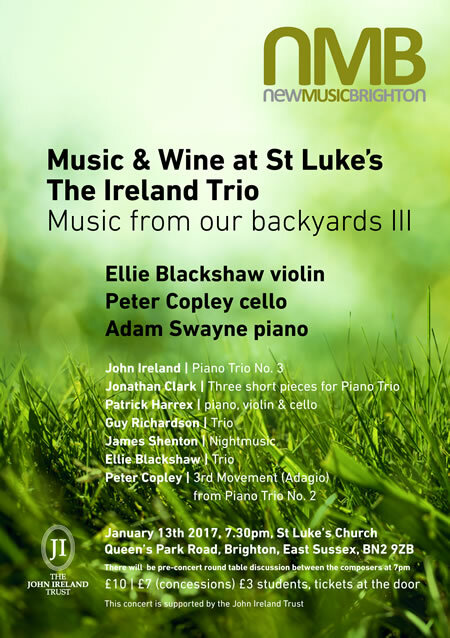 The Ireland Trio – Ellie Blackshaw (violin), Peter Copley (cello) Adam Swayne (piano) – struck and trilled their way through seven Piano Trios; six of the composers were present, two playing. James Shenton’s Nightmusic is a Gershwin-minimalist-inspired study in rippling sweeps and chord sequences, a sourbet to Patrick Harrex’s masterly piano violin & cello. Harrex is the most established voice; acceleration starting off in stark Morton Feldman pings rise to a moto perpetuo, with exhilarating menaces. Jonathan Clark’s attractive Three Short Pieces enfold two hymns (one’s called ‘Song’) hypnotically round a striding ‘Scherzo’. The last ‘Hymn’ evokes the spare opening to Britten’s Canticle II crossed with Part’s glassy-violin Fratres. Peter Copley’s Piano Trio No. 2 is huge, so just the third movement, a fantastic passacaglia – variations on a bass turned backwards half-way here in a palindrome – was played. Spellbinding to the audience, Swayne’s emphatic pointing-up was raptly paused. Guy Richardson’s knotty Trio boasts melodic drift sashayed between cluster harmonies and Swayne literally knocking on piano wood as Copley’s expressive cello melodies were taken up by Swayne; then a wash of Richardson impressionism. It shifts his profile. Ellie Blackshaw’s Trio in F sharp happily isn’t as brief as she claims: serially-kerned, gestural, wistful, in ternary form it needs grasping twice – Blackshaw’s violin superb here. John Ireland’s own 1938 Trio No. 3 in E washes impressionism with English modality through gamuts of moods, a yammering non-folk scherzo to wonderful drooping slow movement figures: the heart of this shifting work, it’s not obliterated by the finale echoing Ireland’s fine piano ‘Chelsea Reach’. This is really Festival quality; many braved the ice for it. 1 – Can you tell us a little bit about ‘Impromptu No. 2 & 3? These are the middle movements of 4 Impromptus I wrote as a set in 2012. Their starting point is one or other of the 8 Schubert Impromptus (D899&935). I was interested in the mixed impression these gave of improvisation while at the same time referring usefully to familiar traditional forms for overall coherence. 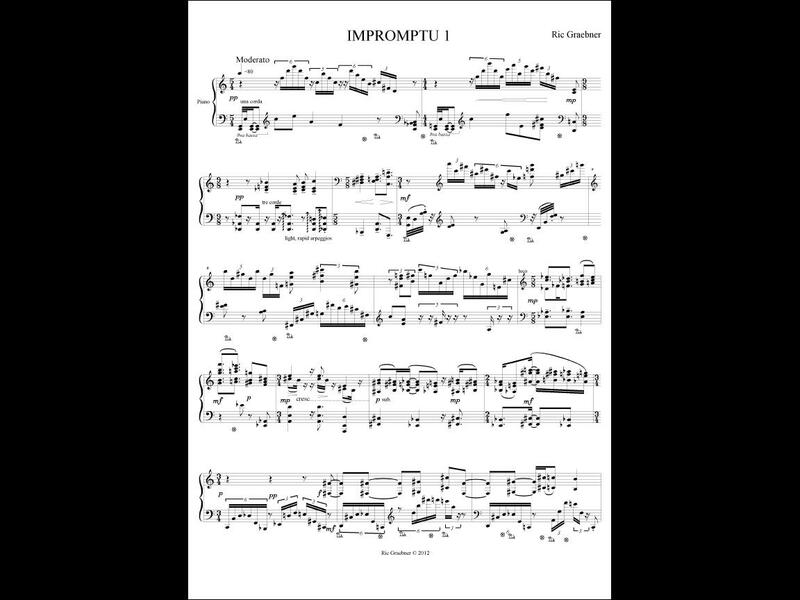 When I started writing my own impromptus I did not , as it happens, have the Schubert scores at hand so I was remembering or misremembering bits I found salient or interesting and elaborating them my own way, usually changing the character of the original beyond recognition. The first impromptu based on D899 No.4 (Ab minor) retains some of the spirit and rippling virtuosity of the original. #2 is mainly based on D935 No.2 – you hear fragments of it in the left hand at the beginning against a faster figure in the right hand obscurely reminiscent of D899 No.1 (C minor), which is incidentally my favorite – rather Mahleresque, and Schubert’s most orchestral. This comes as a contrast to the virtuosity, and sometimes density, of (my) #1. It is essentially a slowish movement but with mercurial speed and character changes from time to time. These mood switches, as opposed to the thematic material, are mostly inspired by Schubert’s D899 No2 in Eb major which starts off as a rather complacent salon number, but breaks unexpectedly into an angry outburst. #3 breaks away entirely from the spirit of its model (D899 No3 in Gb major), a lyrical rather Liebestraumy affair, loved by pianists because it reminds them of Chopin or Liszt and gives them scope to be ‘expressive’. My own version removes the mellifluous accompaniment figure, leaving the bare bones of Schubert’s melodic outline and has a rather sinister character, more of a Liebesnightmare, with discontinuous textures, disruptions and interruptions. It is essentially an even slower movement than #2 but as the interior detail develops there is a seething sense of repressed activity behind the façade. That said, my own take is probably closer to Schubert’s sense of his piece than most people recall. One remembers the nice opening tune but not the disturbing middle section with its unpredictable modulations and growling bass trills. 2 – When was it written, and what were the major challenges, if any, in writing the piece? 2012. 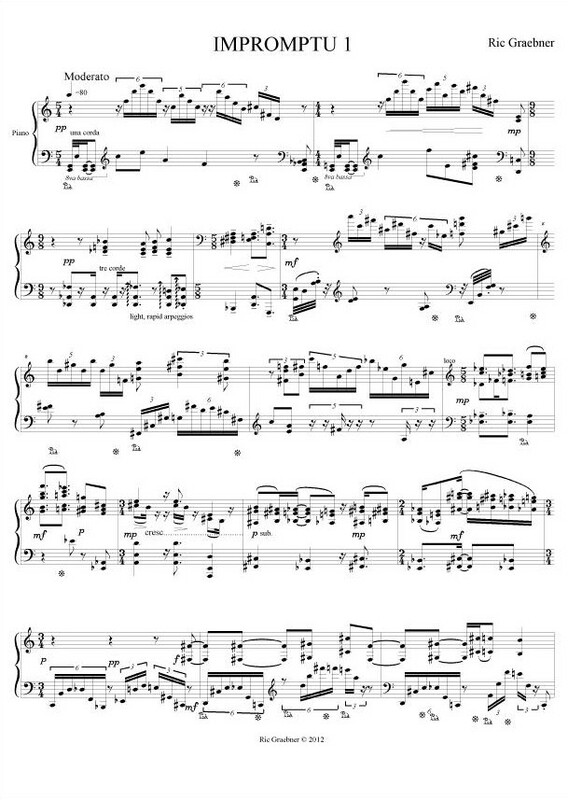 For me, the major challenge writing solo piano pieces is making them playable. This may seem an odd remark, since the piano is my own first instrument (I have also played oboe and percussion in the past, and other keyboards) but during the basic composing stage I don’t want what I know is feasible to get in the way of the ideas I want to express. So my method now is to just start off by writing what I think I want, then sort out the practicalities afterwards – mainly by playing my pieces through repeatedly until satisfied I could perform them myself, with the necessary practice. There is always a way, often with only having to make minor adjustments. The other basic challenge with the piano is that dynamic control of notes is limited to the initial attack (as with harp, guitar or pitched percussion) so that sustaining a sound, which comes naturally on winds and strings, has to be avoided, or faked with arpeggiation, trills or other forms of ongoing movement. An alternative is to acknowledge the piano as basically a percussive instrument (which is the case with my finale, Impromptu #4) but over a long period that can be very limiting and monotonous. So the overall creative challenge, arising from all the points made above, is to achieve a variety of texture, without sounding like a piano reduction of an orchestral score (i.e. a piano piece that really wants to be something else) or falling into the various piano-writing clichés that have accumulated in the repertoire because of the constraints imposed by the instrument. 3 – How/why/when did you develop an interest in composition? I think it was Thea Musgrave who remarked tartly to some up-and-coming young thing “Well if you are a composer, bloody well compose”. Her point was there is too much posture and attitude, and not enough of the activity. My first written down piece was ‘Walz’ [sic] when I was 4 and interested in the act of writing as such, so music notation (I had just started piano lessons) seemed as natural as writing letters of the alphabet. It’s only later that you realise society considers it a rather bizarre and specialized practice and there are these arty people called ‘composers’. After an early start, precocious but scarcely prodigious – I was no Korngold or Mendelssohn – I developed very slowly. Unfortunately I never had the benefit of a formal composition teacher who could, as I have subsequently realised, have provided a useful entrée to the professional compositional world, and, in passing, have hinted at some short-cuts to certain things I only discovered much later on my own, by constantly studying scores of earlier composers. 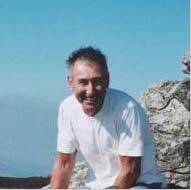 Also while I was trying to find my own voice, there was a range of opposing fashions – serialism, minimalism, what you might call texturism, crossover multiculturalism, etc.. You had to belong to one camp or another to have credibility, perhaps more among other composers or critics than the public at large. Even electronic music which should simply be a means to an end had the aura of a stylistic genre for many, as though it was only respectable to generate certain kinds of sound or a certain type of music using that medium. Probably similar pressures exist for young composers today. The advantage of being an old composer is that you can forget fashion and get on with what you want to do. 4 – Who are your most important musical influences? Pretty much every significant composer from J.S.Bach onward. Often the influence is some abstract quality such as flexible part-writing or springing a surprise in a Haydn quartet. Less commonly, it might be some actual musical idea which I have an appetite to transform or incorporate in some way (as in the Impromptus). Paradoxically, the composers who influence me most are the ones my musical surfaces resemble least, perhaps because I am too familiar with them to let references slip in carelessly. 5 – How long have you been a member of NMB? 6 – Do you have any other upcoming events that you’d like us to know about? All works are either pre-recorded or electronic in nature and may include flashing images. Ark from Roger Harmar on Vimeo. Our member, Lee Westwood has been commissioned through the ‘Portfolio’ scheme to write a new work for London-based choir MusArc, to be premiered this Summer at The Biscuit Factory, Bermondsey. In conjunction with this, Sound and Music have also made him one of their ‘New Voices’ featured composers for the period 2014-2015, and a selection of his works will be published by Composer’s Edition. ‘A Hidden Order’ Exhibition, Prince’s School Of Traditional Arts, Shoreditch, March 19th – 27th. A collaboration between composer Lee Westwood & geometer Sama Mara, exploring the relationship between music and geometry, resulting in a multimedia performance of a new suite for mixed ensemble where sounds are converted into realtime live graphics. 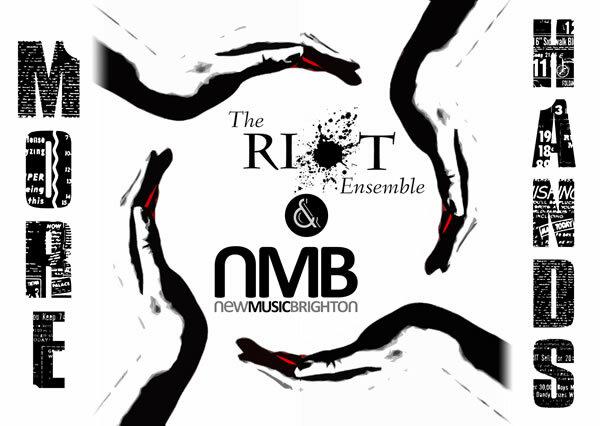 Ensemble includes Philippe Barnes (flute), Suzie Shrubb (cor anglais), Adam Bushell (marimba/percussion) and Susie Winkworth (cello). Supported by the Arts Council and the Prince’s School Of Traditional Arts.